In only a brief time, Oklahoma City went from being a minor-league city at best to having a permanent NBA franchise. Here is all the information you need to know about the background of the NBA relocation including the Oklahoma City Hornets saga and the local investors that purchased the Seattle SuperSonics. The story with the Hornets is a complicated one. When Hurricane Katrina struck the Gulf Coast and essentially destroyed the city of New Orleans, Oklahoma City Mayor Mick Cornett and city leaders stepped in to help. As the clean-up in New Orleans commenced, the Hornets began to play at what was then known as the Ford Center. The team absolutely blew away expectations, in performance certainly but also in the community and corporate support and ticket sales. The Hornets fell short of the playoffs at the end of the season but were in contention for much of it. Chris Paul became Rookie of the Year as well as a city favorite, and the team finished 11th in the league in total attendance. Half of the games were sold out, and average attendance was just barely shy of full capacity. Suddenly, the future grew even cloudier than before. Hornets owner George Shinn, certainly a businessman, began to speak the virtues of Oklahoma City, at the same time questioning the ability of New Orleans to rebuild quickly enough to return to NBA status. A very awkward and even contentious situation began to develop. 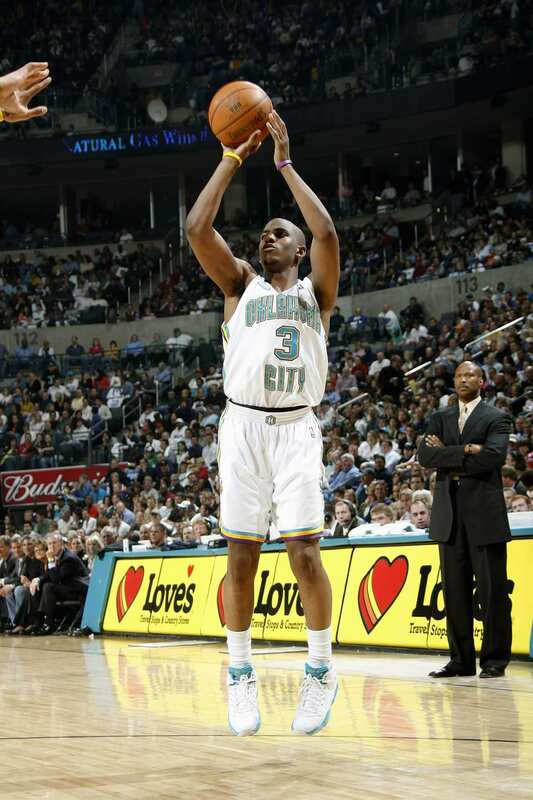 By contract, the Hornets would play the 2006-2007 season in Oklahoma City with then-NBA Commissioner David Stern's reiterated intention to return the team to New Orleans in 2007-2008. It was a wait-and-see approach for OKC residents who not only grew attached to a drastically improved roster but also to the concept of being a major-league city. Reports surfaced late Tuesday, July 18, 2006, that a group of investors from Oklahoma City had agreed to purchase the Seattle SuperSonics from Starbucks mogul Howard Schultz. Suddenly, a once complicated situation became even more so. Aubrey McClendon - Chairman/CEO of Chesapeake Energy Corp.
Tom Ward - Chairman/CEO of Riata Energy, Inc.
Ed Evans - Chairman of Syniverse Holding, Inc.
William Cameron - Chairman/President/CEO of American Fidelity Assurance Co.
Everett Dobson - Executive Chairman of Dobson Communications Corp.
Jay Scaramucci - President of Balon Corp.
Bennett, a businessman born and raised in the metro, is married to Louise Gaylord Bennett. The Gaylords, of course, owned the city newspaper for many, many years. A former part-owner of the San Antonio Spurs, Bennett tried unsuccessfully to bring an NHL team to OKC in the late 90's, and he was instrumental in brokering the deal with the Hornets following Hurricane Katrina. The group tried to purchase the Hornets initially. But while George Shinn was looking for investors to help alleviate some of his debt, he was not looking to give up control of the organization. Control, however, was exactly what Bennett's group wanted. So they looked elsewhere. Howard Schultz had been trying to negotiate a deal with Seattle for a new arena, but it was not going well. He entertained several offers and chose Bennett's group, reportedly because of specific terms of the deal. Bennett urged OKC residents to continue to support the Hornets during the 2006-2007 season, and they certainly did. Though the Hornets returned to New Orleans for 2007-2008, many Oklahoma City residents still hold a soft spot for their first NBA love. The terms of the deal with Schultz required that Bennett's group negotiate for one year to obtain a new arena. That was an important consideration for Schultz. Only if those attempts were unsuccessful after a year would the group be able to relocate the team. The total value of the agreement was $350 million and included not only the SuperSonics but also the WNBA Storm, the Storm being later sold to Seattle investors. The agreement was finalized October 2006, and the one year negotiation period began at that time. Unfortunately for SuperSonics fans, there wasn't much of an effort politically to build a new arena in Washington, at least until it was too late. The legislature failed to approve an arena plan in April of 2007, and that's when Bennett began speaking of relocation, saying "I don't think having a franchise that's leaving town is good for anyone. Not for the players, not for the fans." Bennett's ownership group officially filed for relocation to Oklahoma City on November 2, 2007, and that relocation was approved by an NBA owner's vote of 28-2 on April 18, 2008. In anticipation of that vote, Mayor Mick Cornett set forth a plan to upgrade the Ford Center. It passed overwhelmingly, and the city came to terms with the Sonics owners in March 2008 on a lease agreement. There were still a couple of very large legal hurdles for the Sonics owners. The city of Seattle filed suit in U.S. District court hoping to force the Sonics to play out the remaining two years on their KeyArena Lease. Former owner Howard Schultz also filed a lawsuit claiming Bennett's group did not negotiate in good faith to stay in Seattle. He would later drop the suit, admitting he likely wouldn't have won. Most Oklahoma City residents took a wait and see approach, knowing it was likely the relocation was a question of "when" rather than "if." Nevertheless, a complicated legal proceeding ensued between the city of Seattle and the Sonics ownership group. The two sides argued for 6 days at the end of June 2008 in the courtroom of U.S. District Judge Marsha J. Pechman. The owners claimed their relationship with the city was irreparable and the team would lose $60 million if forced to remain at KeyArena for the final two years of the lease. The city of Seattle argued Bennett's group always intended to move the team to Oklahoma City and that they were well aware the lease included a clause of "specific performance" rather than the possibility of a cash buyout. Prior to the trial, Seattle officials released a number of e-mails between ownership group members obtained as part of the discovery process. These e-mails seemed to show the group had the intention of moving from the beginning. During the trial, attorneys for the owners attacked the city of Seattle right back, using e-mail evidence to suggest there was an organized attempt to harm the franchise as much as possible, with the hope of forcing Bennett to sell to a local ownership group. What was the judge's decision? Unfortunately, we'll never know what it would have been. The two sides reached a settlement agreement just hours before the decision was to be released on July 2, 2008. In a press conference a few hours later, Seattle Mayor Greg Nickels said he felt confident they would have prevailed in the case, but a number of legal experts around the country felt otherwise. Either way, the only thing that mattered to OKC residents was that the NBA was finally coming for good, the long-anticipated culmination of a tremendous Oklahoma City renaissance that began in the early 1990's and an important signifier that we had indeed reached the big time. At his July 2nd press conference, Clay Bennett said the relocation would begin the very next day. There was a lot of work for the organization to do in a short amount of time as NBA preseason games began at the Ford Center in October of 2008. Along with relocating players and staff, the organization focused on the Ford Center improvements, staff hiring, promotions, and much more. The settlement included $45 million to buy out the remaining two years on the KeyArena lease and an additional $30 million in 5 years if Seattle put forth a new arena plan or KeyArena renovation but did not receive an NBA team. And the agreement also stipulated the franchise would leave the Sonics trademark, colors, and history in Seattle. On September 3rd, 2008, the former Seattle SuperSonics franchise became the Oklahoma City Thunder.